Created in Japan by Forever Knives’ master craftsmen, the Brilliant Cut Knife by Lyndey Milan combines revolutionary state-of-the-art technology and design to create a knife with incredible sharpness, durability and cutting prowess. For the first time in her 30+ year career in the food industry, Lyndey Milan has put her name to a product. “My professional life is focussed on empowering the home cook. Too many of them have blunt knives because they don’t know how to sharpen them. I want cooking to be easy and fun. I tested this knife for over 12 months and am very proud to put my name to it. I love using it for everything – it doesn’t let me down, staying sharp much longer than my steel knives – and that’s because it contains diamonds – something every girl loves – though men will love the technical aspects too!”, said Lyndey Milan. World leading testing organisation, CATRA (UK) has confirmed that this revolutionary alloy blade, hand-finished by a master Japanese sharpener, will hold its edge up to 45 times longer than steel. Comfortable, lightweight and perfectly balanced, the Brilliant Cut Knife is the only knife you’ll ever need. It is dishwasher safe and its 19cm blade is sharp and flexible and able to tackle all kitchen jobs such as slicing, chopping, shredding and dicing with ease and precision. No steel means no oxidation so basil and lettuce won’t discolour and the sharp blade means onions won’t cause unnecessary tears. 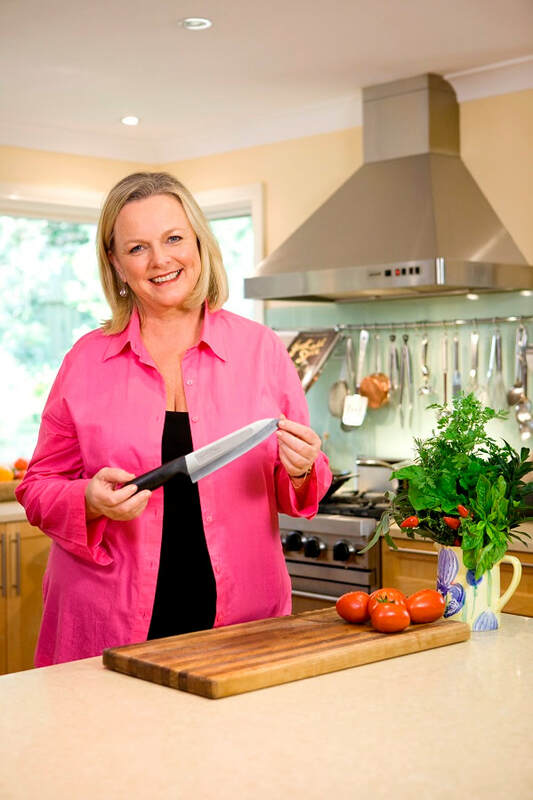 Lyndey is a well known multi-award winning author, television and radio presenter, educator and cook. With over 30 years experience in the food industry she certainly knows kitchen equipment and has worked extensively with Forever Knives to develop this unique multi-purpose Brilliant Cut Knife for cooks and food lovers alike.